My name is Tara and I live with my husband and two small children in the southern part of Vancouver Island, Canada. 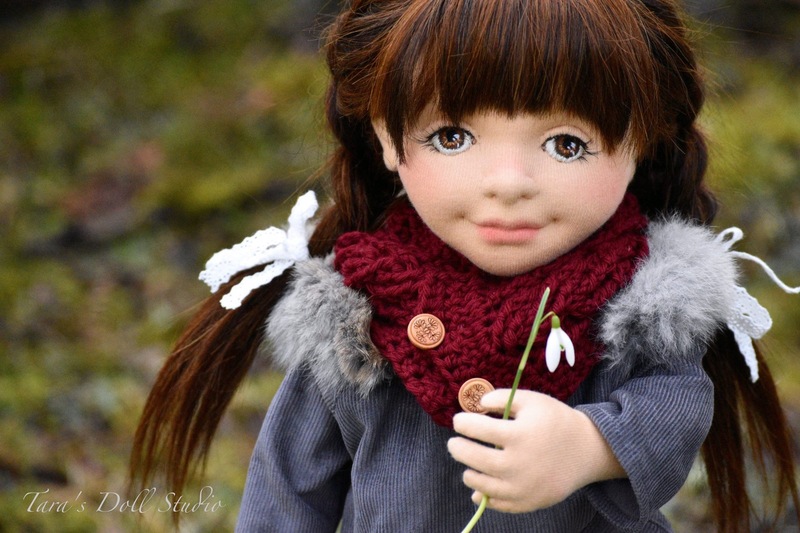 I am first and foremost a stay at home mother and make dolls in my spare time and while my children sleep. Two years ago I was looking for a gift for my daughter’s first birthday. 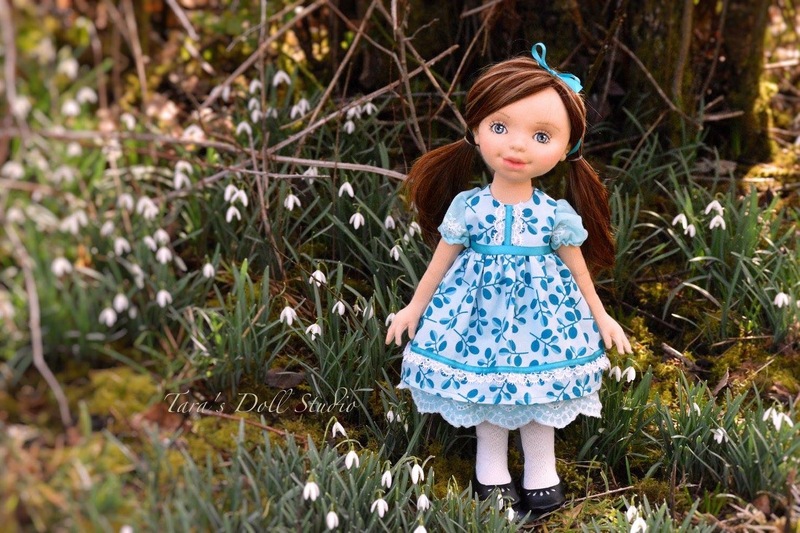 I decided to try to make her a Waldorf style doll instead of buying one and in the process, my creative world exploded. I became obsessed and for the first time saw textiles as a creative and artistic outlet. 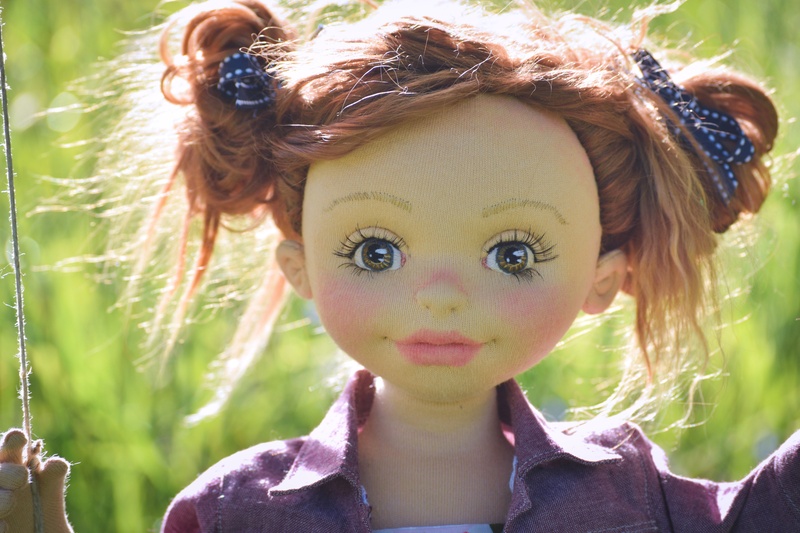 During the first year of doll making, once I had a handle on the basics, I knew I wanted to make more lifelike dolls. I began needle felting the inner wool of the dolls faces to sculpt their features. I also experimented with wire armature and different styles of doll joints and then needle felted the torso and limbs to create a functional but aesthetically pleasing body style. 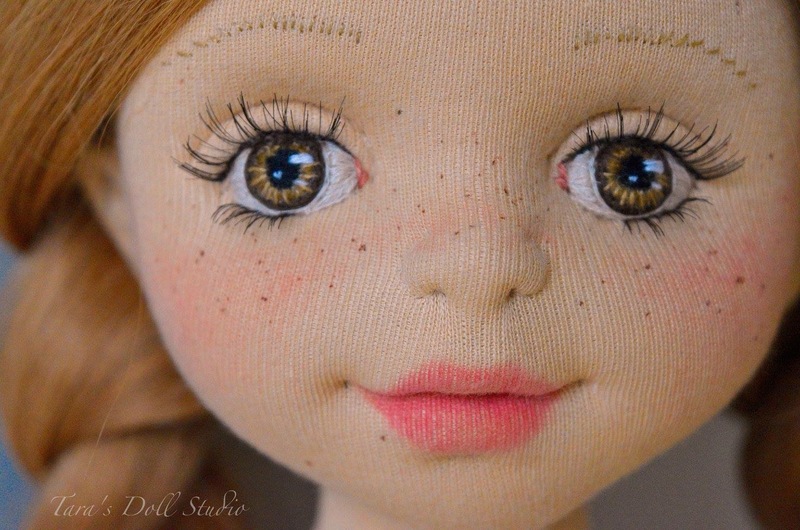 I hand embroidered their eyes with cotton floss in varying shades to add a lifelike quality to their faces and placed tiny stitches along the nose and mouth to define their features. 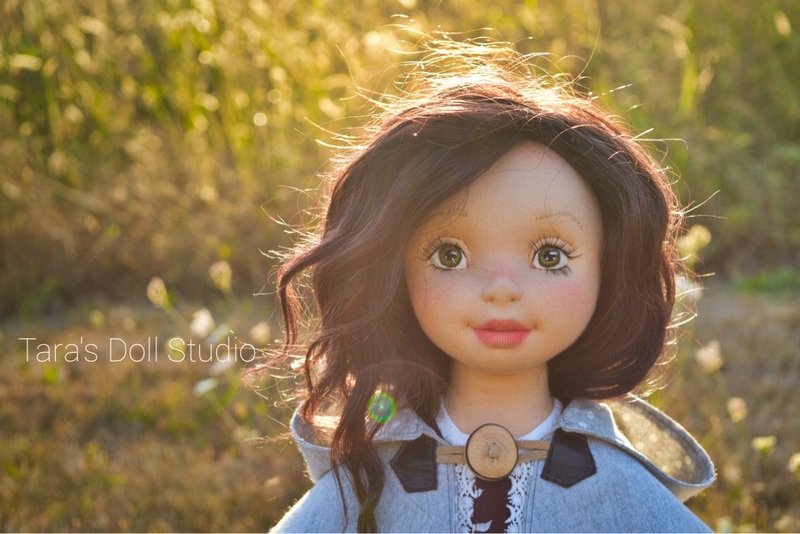 I sourced raw animal fiber and began making my own wigs for the dolls. This year I have decided to stay true to using only natural fibbers, wherever possible, but put aside the restrictions of the Waldorf style totally and create on my own terms. I cannot describe how incredibly satisfying the result has been. 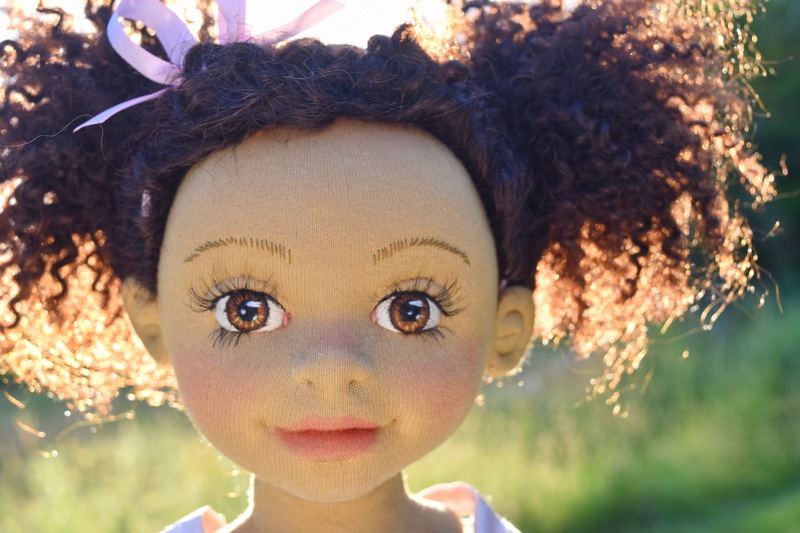 It has allowed me to push the limits of the natural materials and fully realize the vision I had always had for my dolls. 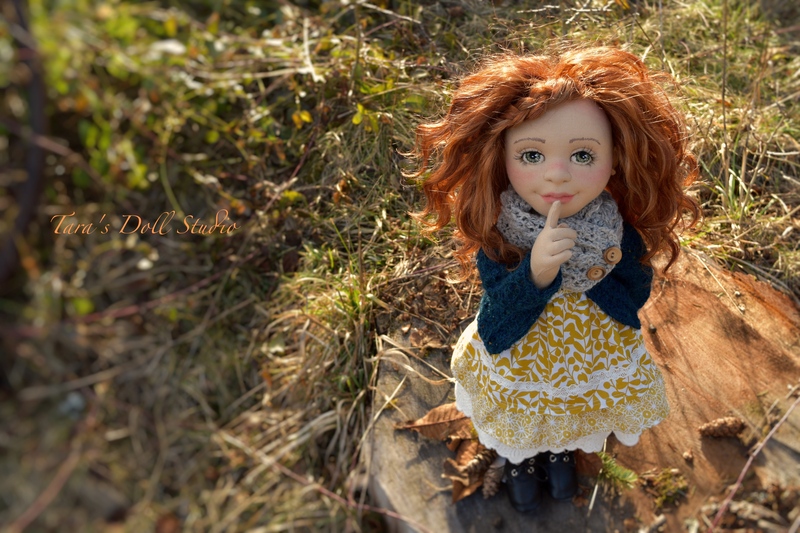 Doll making has also allowed me to dabble in other art forms which include, photography, sculpture, story telling and coloured pencil illustrations. With nothing but options and only my own imagination to hold me back the possibilities of their collective are truly endless.